With large quantities of flat sheets in stock, modern and sophisticated machinery, and our team of skillful machinery operators, ExcelClad offers a quick turnaround on your flashing orders. Flashings and trims complete your building and buying from ExcelClad at the time of purchasing the roof or wall cladding, ensures a consistent and quality finish for your building. 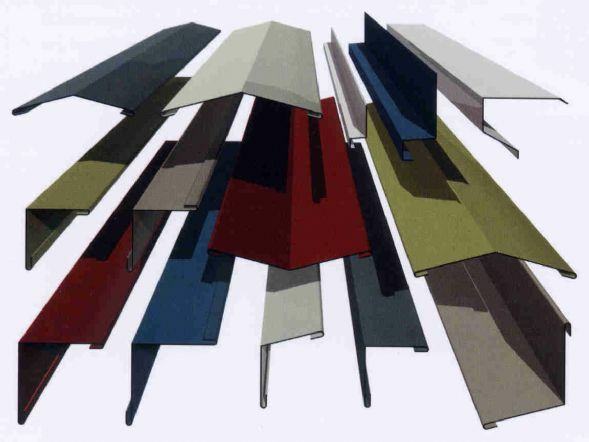 When you order flashings from us, we manufacture from the same batches of materials as your roofing and cladding products therefore guaranteeing colour matching across your entire building. Available in 200 micron leather grain plastisol, 25 micron polyester or plain galvanised, flashings are manufactured in 3000mm lengths as standard, but we have capacity to manufacture up to 6200mm in length if required. Standard flashings such as ridges, barges, eaves, apron and drip flashings produced to standard sizes, but most of our work is bespoke manufactured to our customer specification. .